This week's challenge was "inspired by music" and immediately the song "Under Pressure" by Queen popped into my head - which was more than appropriate for the challenge considering I got a pressure cooker for Christmas this year. Only being the second time I've used the Instant Pot, I wanted to make sure whatever I cooked was foolproof. I decided to try out making some mac 'n' cheese because I've been reading that pasta can cook in under five minutes in a pressure cooker. And it's true! While I cooked the noodles, I prepped the "sauce" that brings out all the flavor. 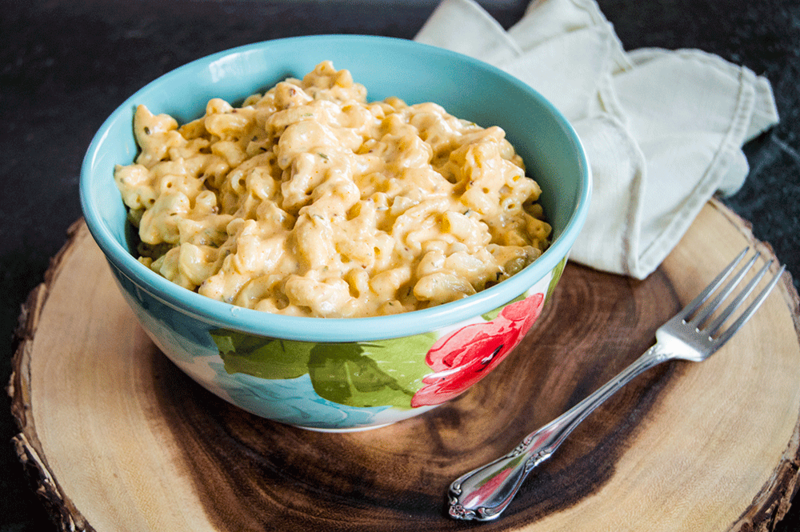 The secret to the perfect mac 'n' cheese is using evaporated milk, instead of regular milk, it emulate the "out of the box" taste. The noodles can be cooked to perfect al dente in just four minutes. Making the noodles in the Instant Pot is really the key to this whole recipe. Because when noodles are boiled, they move around and thus can turn mushy or start breaking down. In the Instant Pot, there is no boiling so the noodles stay put while they cook, resulting in perfect texture and shape. If there's any remaining water in the pot, it can be drained out or let evaporate naturally when the Instant Pot is switched over to "saute" mode. 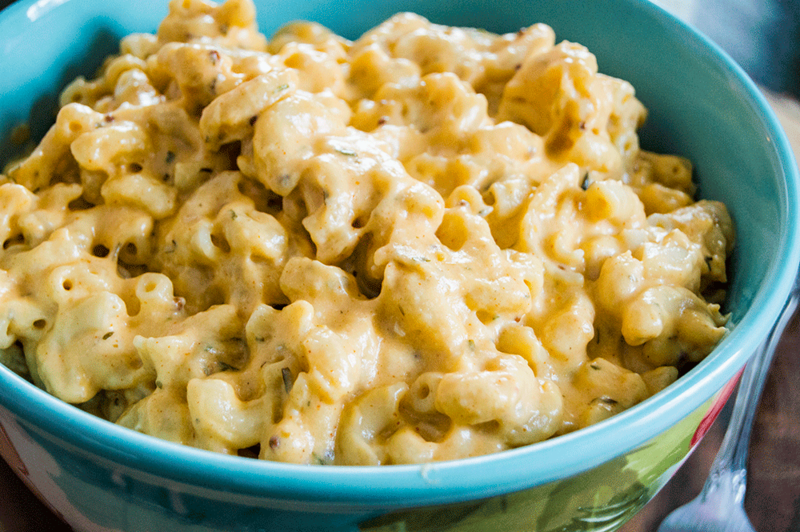 Once the noodles have cooked, the mac 'n' cheese can proceed as most standard style mac 'n' cheeses - pour in the evaporated milk mixture and let it reduce down, while stirring, until it has thickened up a bit. After that, it's just a matter of choosing which cheeses to melt into the noodles. I picked pepperjack with a handful of colby jack. 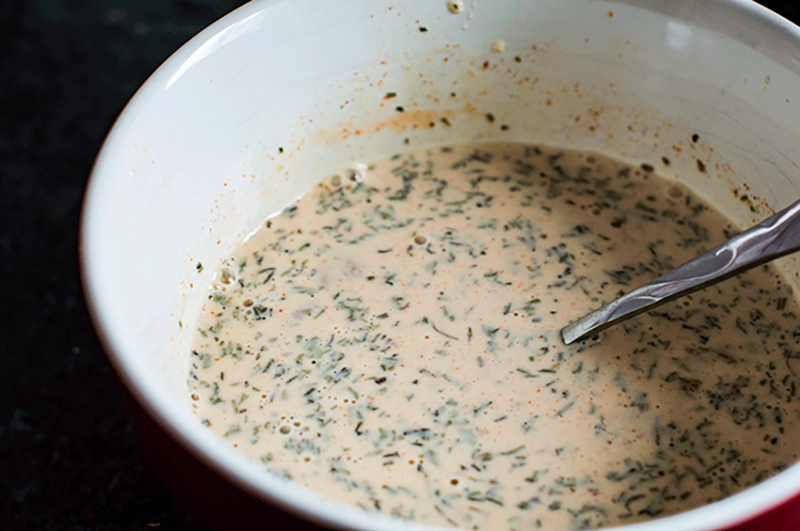 It was the perfect blend of spicy and savory - and it came together in just fifteen minutes. 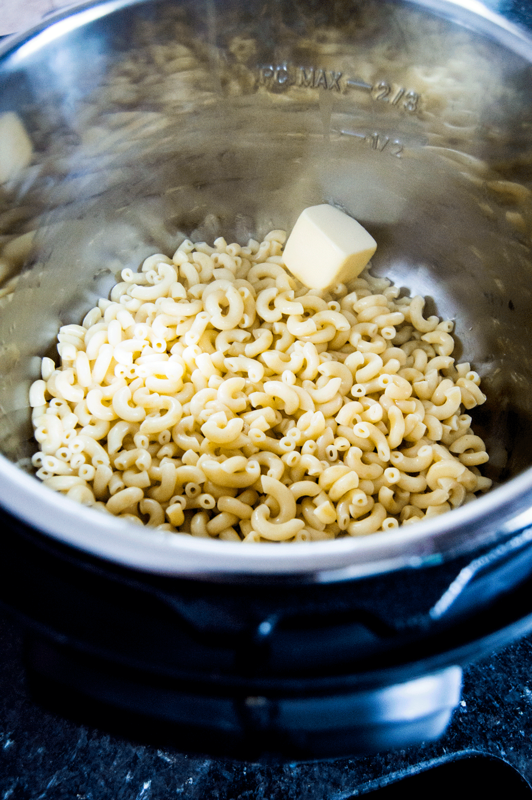 While that may not necessarily be any faster than "traditionally" cooking mac 'n' cheese, the resulting flavors and texture that are created when cooked in the Instant Pot definitely make it worth it. Bonus points if you cook it while listening to Queen. 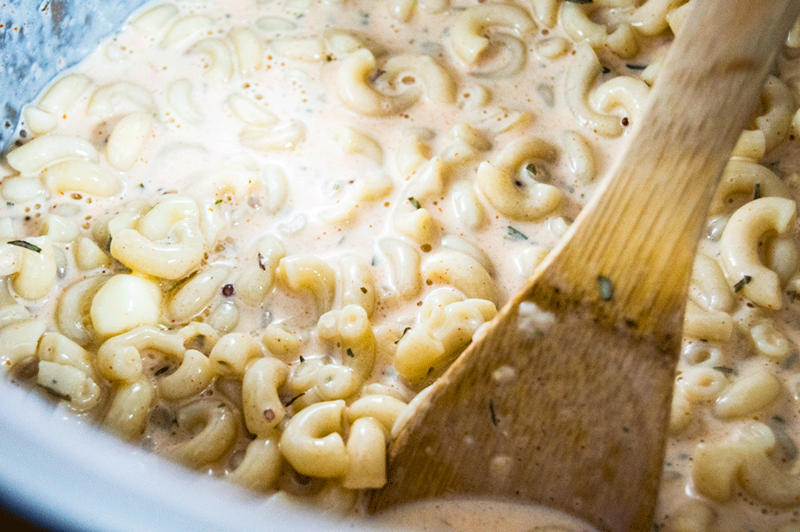 Add the macaroni noodles and 1-2 cups cold water (enough water to cover the noodles). Place the lid on the Instant Pot (IP) and hit "Pressure Cook" twice so it is on "Normal" pressure. Set the timer to 4 minutes. Let the IP come to pressure and cook the noodles. Let depressurize naturally over about fifteen minutes or do a quick release of the valve (wear protective oven mitts if doing quick release!!). 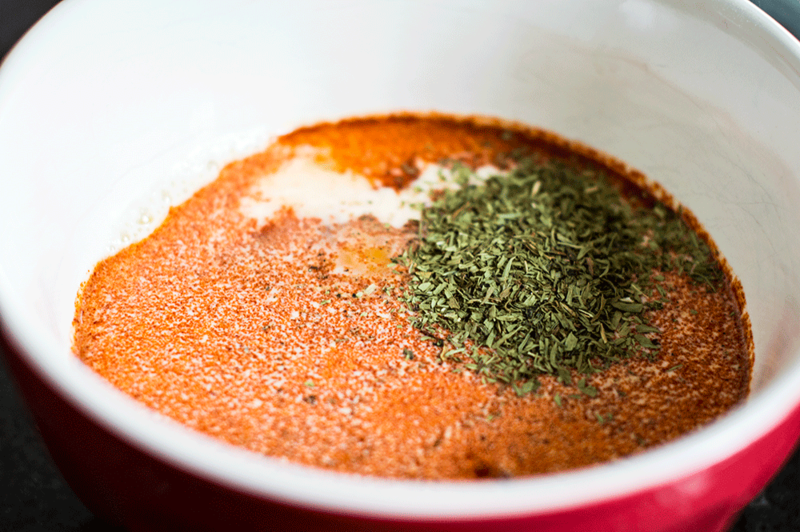 While the noodles cook, whisk together the evaporated milk, egg, yellow mustard, whole grain mustard, paprika, sriracha and tarragon. Season with salt and pepper. When the noodles are done cooking, drain any excess water as needed. Put the IP in "Saute" mode - press twice to put it on "More" mode - and add the butter to the noodles. 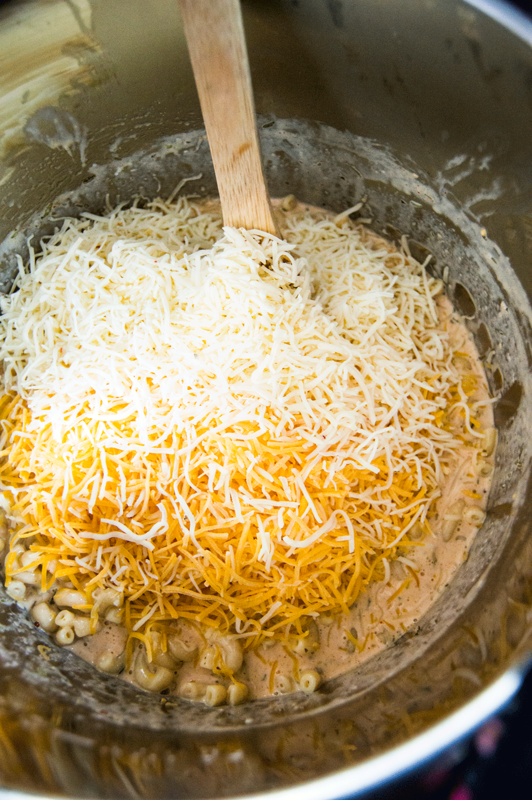 Stir until the butter has melted and is coating the noodles. Pour in the evaporated milk and stir until it just starts to bubble. Add the cheeses to the IP. Stir until they are completely melted into the noodles. Serve hot and enjoy!